The Otago Harbour Board probably spent more money on construction and development than any other body in 1880s Otago, but they were quite frugal when it came to their office buildings. The Victoria Channel in the Otago Harbour cost hundreds of thousands of pounds to develop, but when the Board commissioned architect F.W. Petre to design new offices in March 1884, it was with the brief that the cost should be no more than £2,000. The Board had been constituted in 1874, succeeding the Harbour Department of the Provincial Government. Its first purpose-built offices were erected in Cumberland Street in 1877 and demolished in 1885 because they impeded the completion of street realignment. 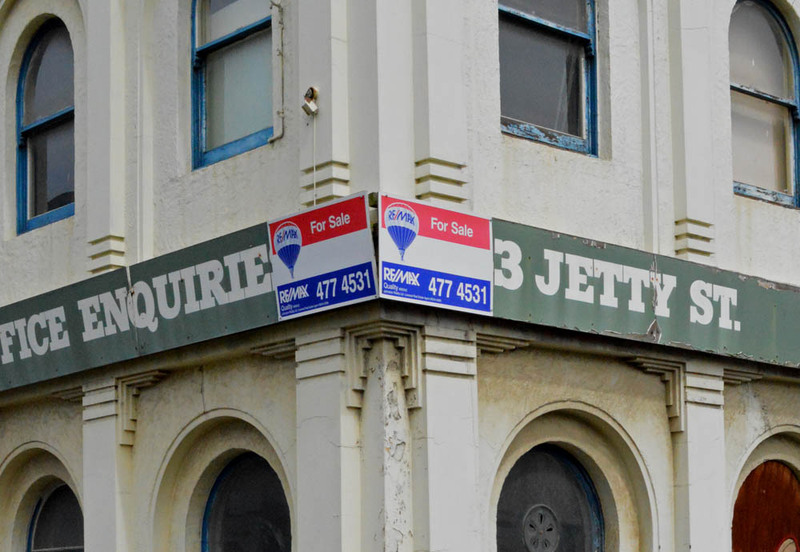 The land selected for replacement offices at the corner of Jetty and Vogel streets was owned by the Board and had been reclaimed in works carried out in the late 1870s. Francis William Petre (1847-1948) may have been the first New Zealand-born architect, and he earned the nickname ‘Lord Concrete’ for his innovations and many designs in that material. His best-known works included the Catholic cathedrals of Dunedin and Christchurch, and the Dominican Priory in Smith Street. His surviving commercial buildings are scarce, but include the Guardian Royal Exchange Buildings and Mansfield Apartments (both in Liverpool Street). Petre was at home working in both Classical and Gothic styles, but for the Harbour Board he used the Renaissance Revival (Italian) style generally favoured for commercial designs. The proportions and rhythm of the building (including arched windows to both floors) foreshadow his later design for the Equitable Insurance Building (Phoenix House). This more elaborate stone and brick building was erected between 1886 and 1887 on the corner of Rattray and Vogel streets, and shared with the Harbour Board offices the same builder and clerk of works. Tenders for construction were called in May 1884 and James Small’s tender for £2,239 was accepted subject to ‘reduced cornices’. By December the building was close enough to completion for the Board to hold its first meeting in the new boardroom, and the final cost was recorded in their hefty ledger (now held in the Hocken Collections) as £2,590. The demand for reduced cornices is the likely reason that the proportions of the building were not entirely convincing, with the parapet looking a little mean in relation to the rest of the elevations. 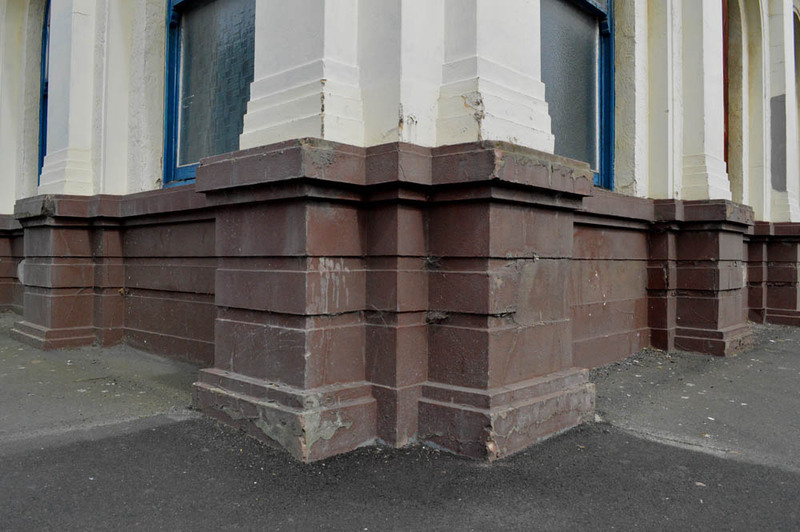 A small parapet pediment highlighted the main entrance on Vogel Street, but this entrance was later moved to Jetty Street, reorientating the building. The depth of the building was narrow, with the footprint being a U shape (almost an L shape) that left space for a small yard behind. This allowed valuable natural light to penetrate through windows in the rear wall, but the yard was progressively built over by later owners from about 1923 onwards. The Harbour Board occupied the building from 1884 to 1899, when it considered such weighty issues as a proposed harbour bridge (a hot topic for some years), the strike of 1890, the construction of large new wharves, and the retrenchment that came with the long depression. In 1899 the Board’s offices moved to modest new premises and these were in turn replaced in 1912. Occupants of the Jetty Street buildings after 1899 included the Government Shipping Office, and the grain and seed merchants Ronaldson & Farquharson. 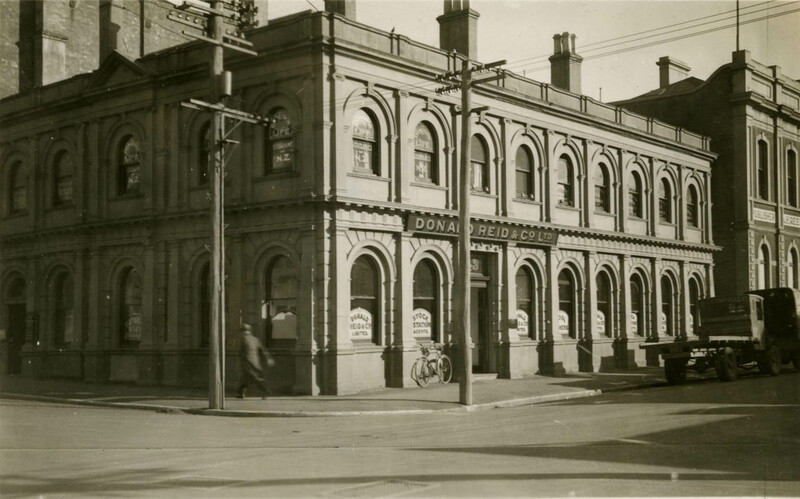 From 1923 to 1974 the building was the head office of Donald Reid & Co., one of Otago’s largest stock and station agencies. 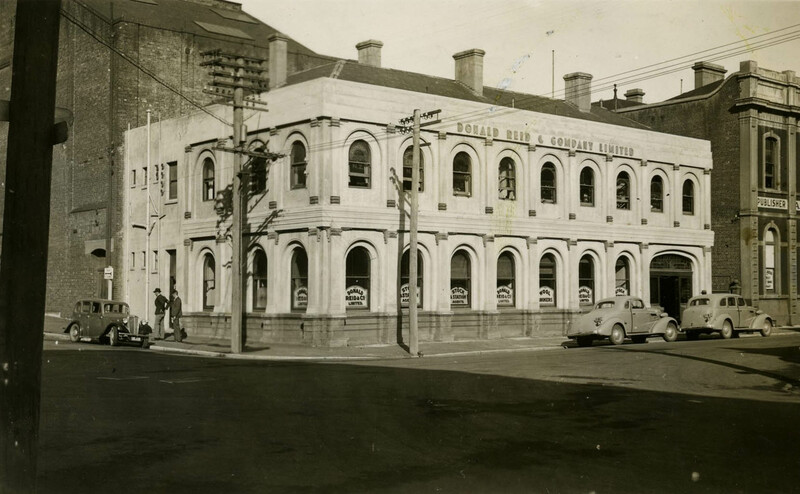 The company’s offices had previously been in their nearby wool and grain store in Vogel Street. Extensive interior and exterior remodelling in the Art Deco style was designed by the architects Stone & Sturmer in 1936. The following year the same architects designed a large new wool store for Reid’s in Parry Street. 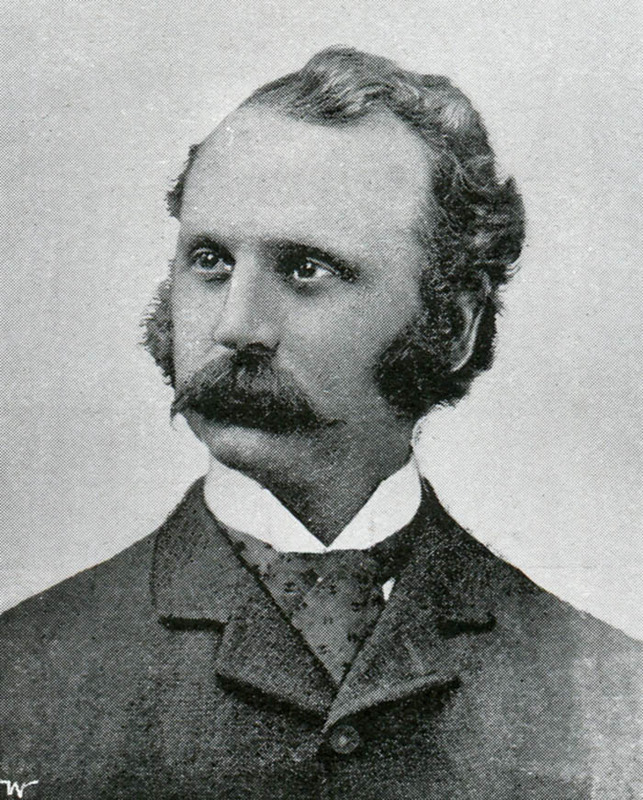 Architect Gorton R. Stone had travelled with a firm representative in Australia investigating store design, and appears to have been the partner that Reid’s principally dealt with. The remodelling of Victorian buildings in Art Deco and emerging modernist styles was popular in Dunedin from the early 1930s onwards. Stone & Sturmer were also responsible for redesigns of the Masonic Hotel (Angus Motors), Royal Albert Hotel, and Bell Hill House. Mandeno & Fraser’s revamp of the Manchester Unity Chambers was another early example. 43 Jetty Street building still reads as a Victorian design due to the retention of most of the original fenestration and glazing. The rhythm of the longer facade with its bays and arches is a pared back version of what existed previously, although new decorative elements were introduced through stepped mouldings and horizontal grooves. A new ground floor entrance across two bays incorporated large leadlight windows, and leadlights were also a prominent feature of the interior. The name ‘Donald Reid & Company Limited’ was added at parapet level in Art Deco lettering (this survives beneath hoardings). Two bays on Vogel Street were replaced with utilitarian plastering and glazing (lavatories and services were moved to this location). The Love Construction Company was awarded the contract for the work (after submitting the low tender of £2,555) and exterior plastering was carried out by W. Ashton & Sons (£250). In 1974 the offices of Donald Reid & Co. moved to 1 Vogel Street. Later occupants of their old premises included the photographer Ross Coombes. The Vogel street facade was again altered in 1976 when the former central bay was extensively altered with a large roller door put in at ground floor level and ‘Brownbuilt’ cladding installed above. Large hoardings at parapet level advertised Woodstock Furniture for many years, gradually losing letters like the Sunshine Foods sign in The Fall and Rise of Reginald Perrin (for those who know their seventies sitcoms). In recent years the building has looked tired and rundown, but In October 2012 its owners received a $10,000 grant from the Dunedin Heritage Fund towards earthquake strengthening and adaptive re-use. It looks as though its next chapter will be a brighter one, and it will be interesting how the unusual layout is reworked, and if the exterior is closely returned to its 1880s or 1930s appearance. 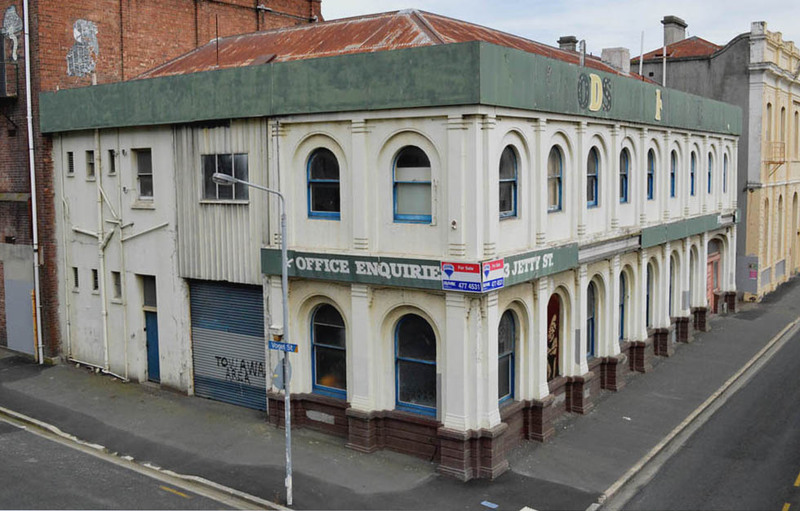 It is one of the earliest Vogel Street buildings, on a key corner site, and could become one of the gems of the Warehouse Precinct rejuvenation. Otago Daily Times, 16 May 1884 p.4 (plans accepted), 3 December 1884 p.4 (meeting in new offices), 12 May 1886 p.4 (Equitable Insurance). Angus, John H. Donald Reid Otago Farmers Ltd : a history of service to the farming community of Otago (Dunedin, 1978). 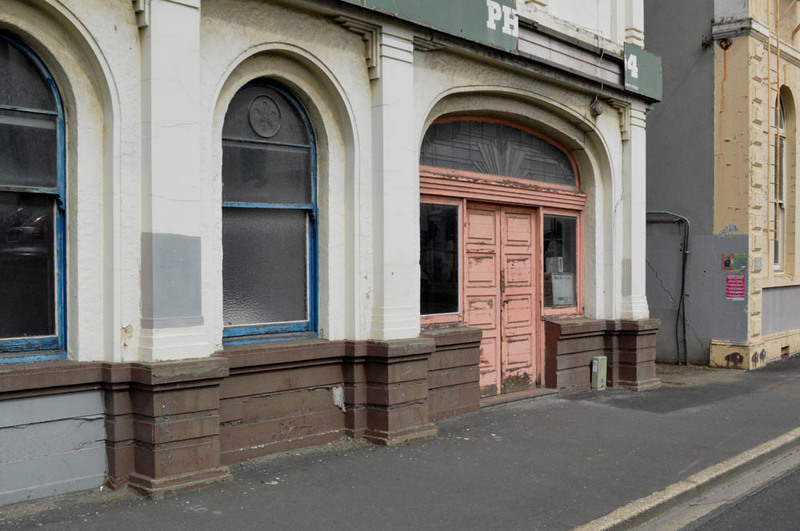 This entry was posted in Buildings and tagged 1880s, 1930s, Art deco, Donald Reid & Co., F.W.Petre, Jetty Street, Otago Harbour Board, Renaissance revival, Victorian, Vogel Street, Warehouse Precinct on 4 November 2013 by David Murray.